You thought the Christmas carols were finished for the season, but for the SU! 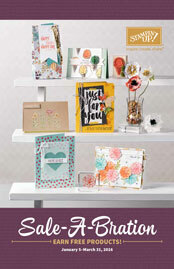 family, the Occasions catalog along with Sale-A-Bration is the most wonderful time of the year! 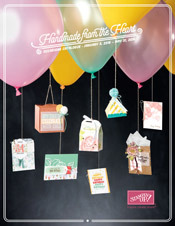 This year's Occasions catalog features many great products to help you celebrate Birthdays. You will LOVE the variety of projects included in the catty and be inspired to create many of your own. This catalog runs through March 31st. Don't have a copy? Click on the link in the column to the right to view it or email me at rnrstamping@gmail.com and I'll get one to you asap! FREE! We all LOVE free, right? Well, that's what Sale-A-Bration is all about-. The Sale-A-Bration (SAB) catalog will be active through March 31st also. To view the catty, click on the link in the right column or email me at rnrstamping@gmail.com to request a copy. 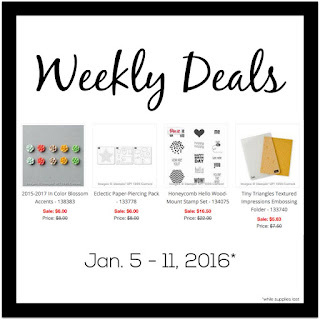 FYI : Items listed on pages 16-19 are ONLY available until February 15th, 2016 . February 16th new Sale-a-Bration items will be added . Stay tuned for those updates on my blog. PLUS when your order reaches $250.00 ( before S&H and tax) you will get an added bonus of $25.00 in Stampin rewards on top of the normal stampin rewards YAHOO! PLUS did you know you can use your stampin rewards towards the starter kit . YES you can do that Plus you still get the amazing benefits of joining for $99.00 and still get the $155.00 worth of products by just applying your Stampin Rewards $$ toward the $99.00 cost of your starter kit. I would love for you to join my stamping team! 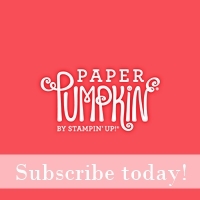 PLUS did you know you can use your stampin rewards towards the starter kit . YES you can do that and still get the amazing benefits of joining for $99.00 and still get the $155.00 worth of products by just applying your Stampin Rewards $$ toward the $99.00 cost of your starter kit. Stampin Rewards = Any order that reaches $150.00 before S&H and tax) Please check out the chart in the front of the Sale-a-Bration catalog on page 3 under HOST . 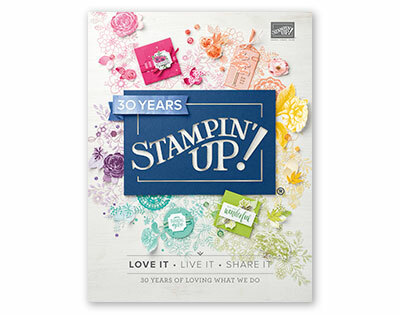 There is an added bonus for even more Stampin Rewards $$ during Sale-a-Bration . ( see SAB mini). Please contact me for more details. We'll be using the Bloomin' Hearts Thinlit and the coordinating Bloomin Love stamp set to create a Valentine card, sympathy card and a wedding card. You will fall in love with this new thinlit die! You asked for it! We'll be creating the amazing Tin of Cards from the annual catalog. In order to receive the kits in time for the class, deadline to register and pay for the class is February 5th. Thanks so much for stopping. Make today a great day!